BALI, Indonesia (AP) — Nearly 50,000 people have fled the Mount Agung volcano on the Indonesian tourist island of Bali, fearing an imminent eruption. 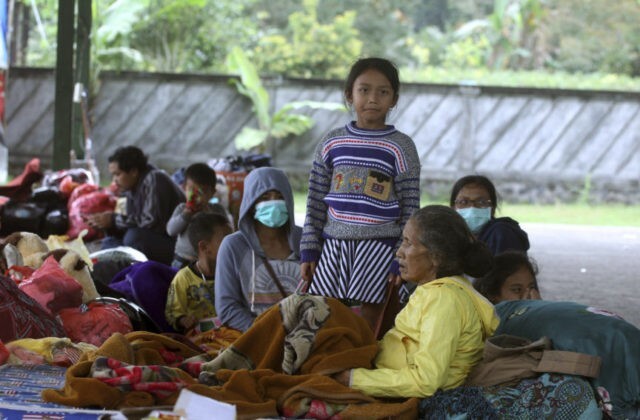 Waskita Sutadewa, spokesman for the disaster mitigation agency in Bali, said Monday that people have scattered to all corners of the island and some have crossed to the neighboring island of Lombok. The volcano’s alert status was raised to the highest level on Friday following a dramatic increase in seismic activity. It last erupted in 1963, killing about 1,100 people.